Prince Leopold, Duke of Albany (1853—84), was the most intelligent and arguably the most interesting of Queen Victoria’s sons. The youngest of four boys – eighth of nine children – and a strong-willed, attractive character with an immense thirst for life, he was also the first haemophilia sufferer in the royal family. As if this were not enough, Leopold was reckoned to be epileptic too. Some doubt has been cast on this in recent years but in the eyes of his contemporaries – and particularly of his mother – epilepsy was a far more serious condition than haemophilia. From boyhood Leopold faced a constant struggle to build an independent and meaningful life in the face of both his own symptoms and the prejudice and protectiveness around him: given the obstacles he faced his achievements were truly remarkable. Denied the traditional career options open to princes in the army and navy, Leopold became a pioneer in the form of royal service we know today, using his title and status to win support to a wide range of social and artistic causes. To the day of his death, he was constantly striving to do more. This book, the only major biography of Prince Leopold, draws on unpublished sources to reveal a compelling human story which touches on the wider worlds of late nineteenth-century Oxford and of literature, art and politics in the Victorian period. Leopold’s early letters, particularly his long secret correspondence with Walter George Stirling, a tutor whom the Queen dismissed, reveal the fierce and tormented relationship that existed between mother and son and in turn shed important new light on the Queen herself. At first unable to come to terms with her youngest son’s illness, Victoria came in later years to see it as fortuitous; a guarantee that Leopold would stay by her side and grow into the role of unofficial secretary left vacant at his father’s death. Much against his will, Leopold was forced at times to do just this, arousing resentments at Court and being drawn into a politic role which is still open to question. Haemophilia is another dominant aspect of his story. The condition caused havoc among later generations of the royal family: examining the condition from the perspective of Leopold’s suffering raises some questions and suggests new answers to others: when did the Queen and Prince Albert realise that their youngest son was ill, for example, and how much did they understand of his condition? Did they attempt to conceal it from others? And, most important of all, where did the haemophilia come from in the first place: new evidence revealed in this book suggests that haemophilia may have been present in earlier generations of Queen Victoria’s maternal ancestry. 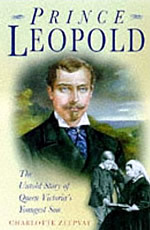 But Leopold was able to build a life independent of both mother and illness. As a student at Oxford and later he came to know some of the foremost academics, artists and political figures of his day. John Ruskin was an important mentor to Leopold, as was Disraeli. The Prince knew Gustav Doré, met Oscar Wilde, saw the start of the Pre-Raphaelite movement – and he had an eye for actresses too. One thread of his story links him from boyhood to Alice in Wonderland and the real-life figures involved in the making of the classic. Robinson Duckworth, ‘the Duck’ in the pool of tears, was Leopold’s tutor; Lewis Carroll, (Charles Dodgson) met and photographed Leopold at Oxford and would go on to be a friend to his widow and children. Tradition has always hinted at a relationship between Leopold and the real Alice, Alice Liddell, daughter of the Dean of Christchurch, but Leopold’s letters suggest that, fond as he was of Alice, it was her sister Edith he loved. Edith became engaged to one of Leopold’s closest friends and died suddenly only days later and Leopold was a pall-bearer at her funeral. His own tortured search for a wife is another thread in his story. ". . . a poignant small masterpiece, a book that constitutes an illuminating entré into the multifaceted Victorian world." ". . . a very good book. The author has done her homework and writes with authority about an interesting man caught in a fascinating relationship. Queen Victoria was demanding and possessive with her children, especially her younger ones and Prince Leopold had to struggle not only with a horrible illness but with his desire to lead an independent and useful life." ". . . this well-documented, moving and readable biography." "This admirable biography is a moving tribute to a prince who overcame much suffering, and it gives us a better understanding both of Victoria royal history and of a family coping with disability." ". . . a poignant study of unfulfilled promise." ". 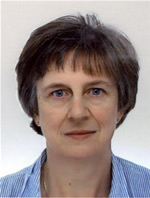 . . one of those rare biographies that you will read again and again."